Focus on the PROCESS rather than the end art work. Lighthouse conducts regular workshops for children as well as adults. There are after – school classes for children, Art programmes at schools and other arty activities for children. 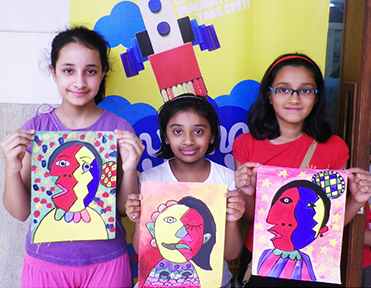 Besides these, Lighthouse also has art and craft workshops for corporate houses which are fun and stress busting. For more information, go to EXPLORE LIGHTHOUSE.